Poetic justice was served on Sunday at the Pennzoil AutoFair presented by Advance Auto Parts at Charlotte Motor Speedway, when Brian De Pouli and his Botticelli Blue 1938 Buick Roadmaster claimed Best of Show honors after a spectacular four-day show. De Pouli, a Demarest, New Jersey, native, had one of the most remarkable stories related to any AutoFair entrant. De Pouli's Roadmaster - one of 411 produced – was originally bought by well-known New York poet Mary Ballard Duryee for $1,900. After Duryee sold the car, De Pouli’s father bought it in 1984 and gave it to his son as a graduation present that required significant renovations. After 11 years of restoring the uniquely colored Buick, De Pouli began taking the car to shows. Four days of family-friendly fun and glistening cars against the sun-lit backdrop of Charlotte’s 1.5-mile superspeedway also included appearances by world-renowned car designer Chip Foose and displays saluting female racers and the 50th anniversary of both the Chevrolet Camaro and Pontiac Firebird. 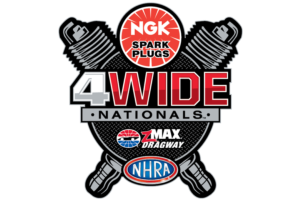 Fans can purchase tickets to upcoming speedway events including the April 28-30 NHRA Four-Wide Nationals at zMAX Dragway and the Coca-Cola 600 on May 28 by shopping online, calling 1-800-455-FANS (3267) or buying them at the gates.